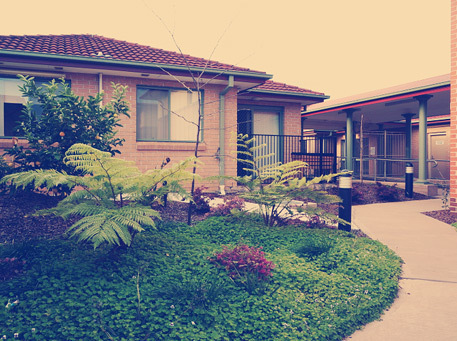 Indochinese Aged Care facility commenced operations at Bonnyrigg in October 2003 with 30 beds. A recent extension was undertaken and the facility now provides accommodation and care to 88 frail aged members of the Indo-Chinese and Chinese communities. 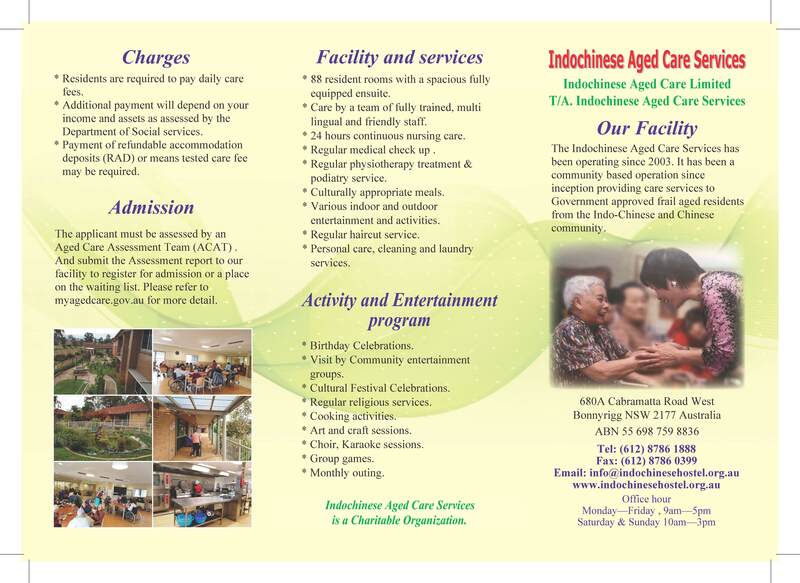 The operating company is now Indochinese Aged Care Ltd, trading as, INDOCHINESE AGED CARE SERVICES. The facility receives recurrent funding from the Commonwealth Department of Health and has been accredited by the Aged Care Standards & Accreditation Agency. The expansion of the facility to this more economic size will ensure long term viability and allow us to better cater for our residents as their care needs increase. The 58 bed extension of the facility was undertaken with grant and loan assistance from the Federal Government as well as from donations and operating surpluses. The extension also included a new kitchen, laundry and resident recreation areas and was completed in December 2013. As there will be ongoing capital costs to maintain a high standard, the continued financial support of the community is required. All are welcome to visit and inspect the aged care facility.